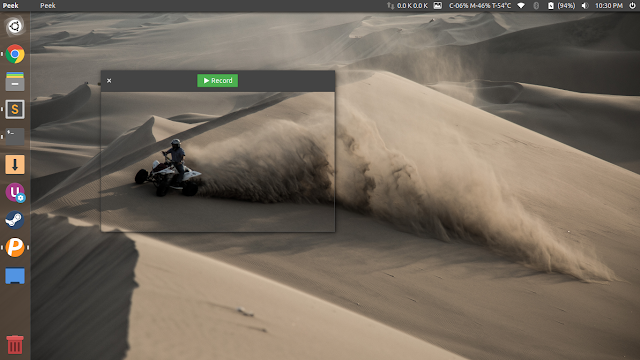 Peek is a GIF creator for Linux that uses FFmpeg and ImageMagick as backend. It was built for the specific use case of recording screen areas, e.g., for easily showing UI features of your own apps or for showing a bug in bug reports. It is not a general purpose screencast app with extended features and it never will be.